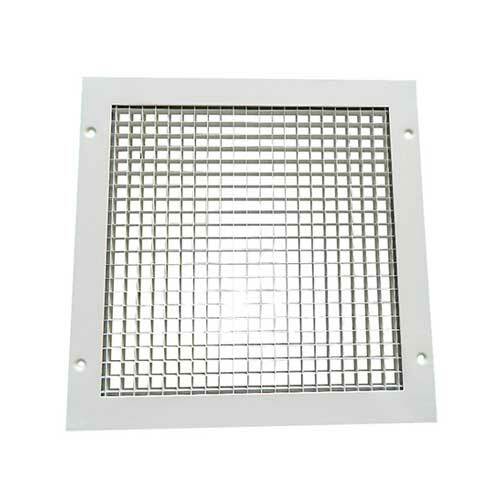 Non vision grilles (NVG) suitable for the transfer of air through doors or walls where ‘through vision’ is not required. NVG grilles are manufactured from extruded aluminium sections, the mitred corners being fully welded and linished. 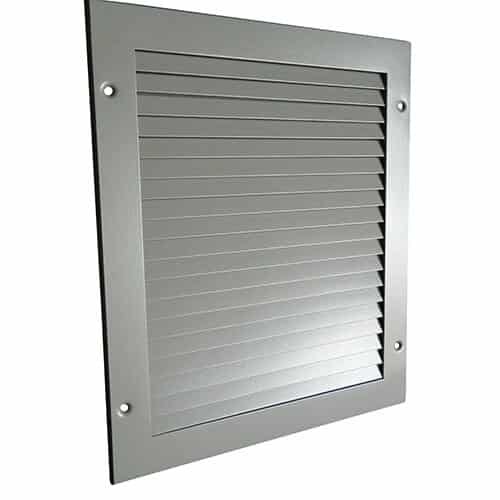 Grilles are available to fit openings from 100mm x 100mm up to 600mm x 600mm as a single unit. 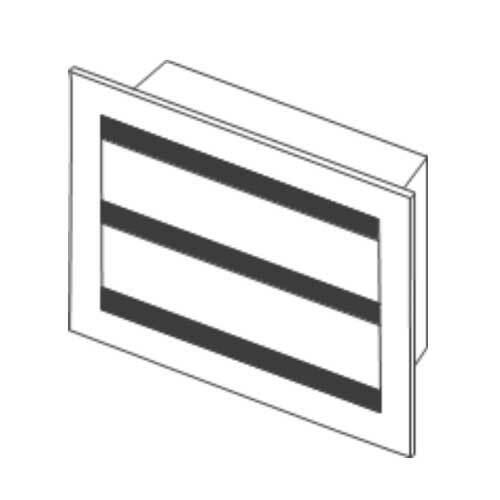 The NVG Non Vision Grille is suitable for the transfer of air through doors or walls but where ‘through vision’ is not required (free area 41%). Double banked units can be used for darkroom applications (NVG/DR). Standard Finish is RAL9006 or RAL9010, or polyester powder coated to the customers colour requirement. For full non vision grille ordering specifications, see table below. 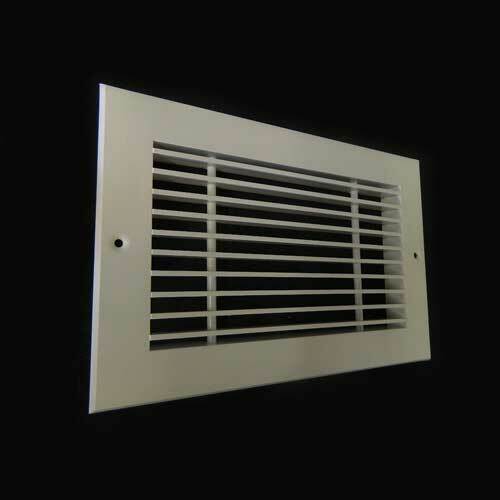 The Non Vision range of Grilles are available to fit openings from 100mm x 100mm up to 600mm x 600mm as a single unit. 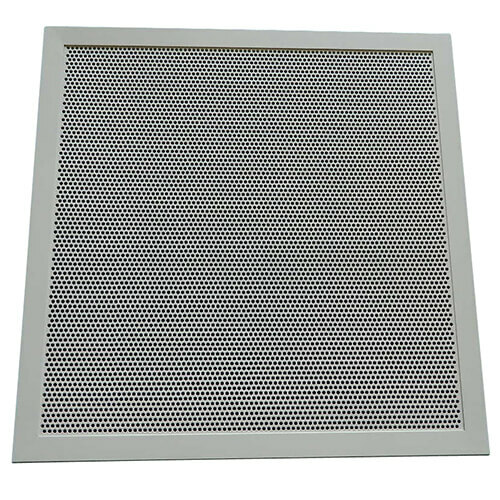 NVG/DR grilles are only suitable for a minimum door or partition thickness of 40mm. Fixing method: FMA Screw fixing (standard) for all excluding NVG/X which is suitable for beading in by others.